Set on the outskirts of London, Chris (Daniel Mays) returns home from Manchester to visit his lifelong friend Shifty (Riz Ahmed). Expecting a party, Chris ends up becoming embroiled in Shifty’s drug-dealing mishaps, leading to the pair ending up on the receiving end of some pretty unfortunate events. Right off the bat, I’m sure even my lovely readers can notice that the writing and plot here are in no way new. Nothing about the synopsis is intuitive, and the 85 minute film brings absolutely nothing new to the table, and crosses it’s characters like a low level daytime soap. However, I will say that the film isn’t without a certain level of charm and professionalism. The film’s clear low-budget is managed to a decent level, and the production is impressive, forcing the bland, depressing colour scheme to the fore. The absence of a bombastic, ‘in your face’ soundtrack works well here, setting the mood well in some of the lighter scenes. Performances here really are a mixed bag. Our two leads carry their characters well, putting out impressively engaging standings, and without them the film would fall into the pile of sludge Netflix seems to throw at us ad nauseum. 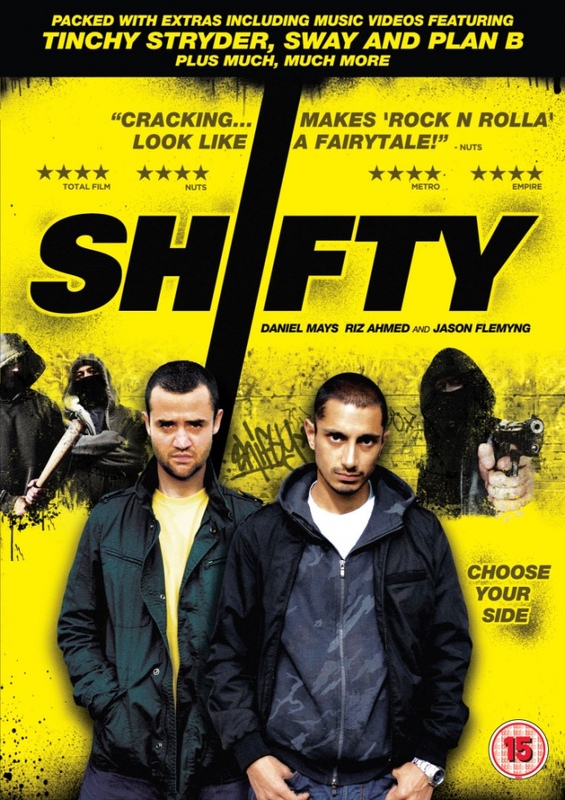 Another stand out for me was Nitin Ganatra’s performance as Shifty’s brother, Rez. It’s a shame then that he’s very rarely given any lengthy screen time, bar a very engaging breakfast scene toward the beginning of the film. However, amongst these good performances, we have some clearly phoned in acting. Dannielle Brent is truly woeful (aside from a spectacular slap toward the third act), and much of the cast come across as wooden and their characters shallow and rushed out the door. In relation to this, one thing I noticed throughout the piece was the stark lack of any women in the proceedings, and when we do see any; they’re either full time mothers or crack addicts. The script is littered with misogyny and quite frankly, dumb female characters. At one point, we see Brent’s character taste cocaine she found on the back of her toilet. Her character feels like an afterthought, a foil to the (relatively well played) Trevor (Jay Simpson) that only came about during post-production. After seeing such wonderful pieces such as We Are The Best! Recently, I can’t help but feel Shifty is a real step back in the wrong direction. Amongst all of this, however, is my real problem with the film. So, I suppose I should state that spoilers follow this sentence, to those interested in watching. Towards the final, third act of the film, we’re led to the natural, predictable climax of any Geezers & Guns adventure. Shifty’s pissed someone off, and they’re coming to get him. Here’s the problem; we’ve only just heard about this guy. Out of nowhere, we’re supposed to be afraid of this all-powerful gangster we’ve heard nothing about, and we’ve only just learnt his name. At 85 minutes, this was clearly an afterthought, some padding for an ending that quite frankly makes no sense whatsoever, and left me scratching my head. By the time we find out the big scary gang man’s on his way, it’s over, with no resolution or explanation other than a ‘work-it-out-yourself’ climax. And for me, that really brought things down. So, did I like Shifty? In all honesty, no. I really didn’t. However, it’s certainly not the worst thing I’ve ever seen. To put it nicely, in a genre littered with so much crap, Shifty stands out as a film with some heart and determination to at least deliver low-level drama to a demographic that already gets more than enough of it. Simply? A middle of the road crime drama with some nice performances, engaging moments and some really big problems. Posted in TV & Film, UncategorizedTagged Average, Daniel Mays, Riz Ahmed, ShiftyBookmark the permalink.